Have a sweet tooth? Look no further! Mix together, form 6 cookie balls, and bake at 350 degrees for 20 minutes. Heaven. Amazingly delicious! I would never have guessed that these were dairy and gluten free by tasting them. 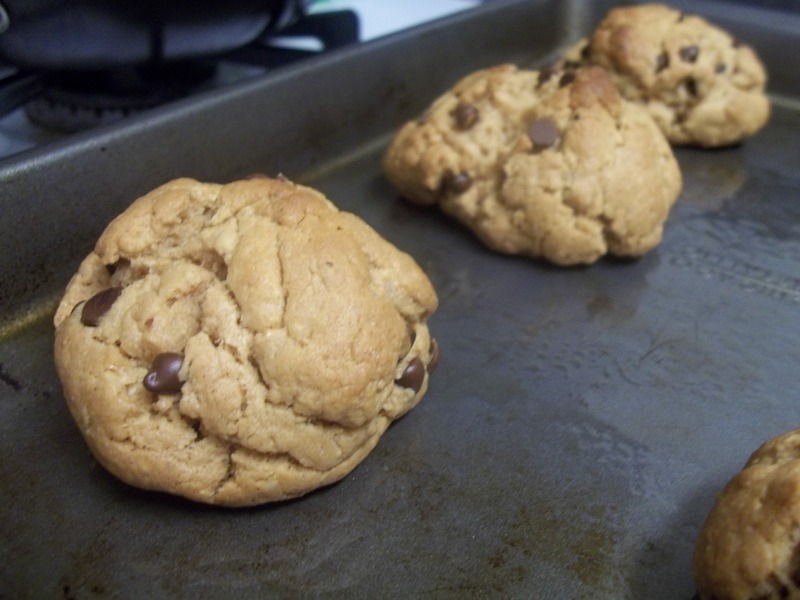 An added bonus is that they are so much easier and quicker to make than regular chocolate chip cookies because the batter is smooth and creamy.